PhD at UZH or ETH? The application period for the program starting in September 2019 is closed. 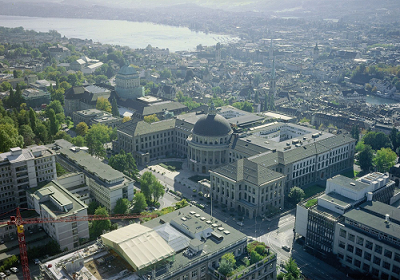 The specialized Master program Master of Science UZH ETH in Quantitative Finance (MScQF) is a degree program offered jointly by the University of Zurich and the ETH Zurich. It is the successor of the former joint degree Master of Advanced Studies in Finance (prior to 2009). The MScQF - entirely taught in English - offers its prospective students an advanced education in quantitative finance. A special feature is its unique combination of economic theory for finance with mathematical methods (probability theory, statistics and econometrics, numerical analysis) for finance and insurance. Recent developments in the FinTech area are included in several lectures. Graduates have excellent opportunities to work as specialists in quantitative-oriented areas of the financial services industry. We have high placement rates in risk management, asset management or financial product development as well as connections to top consulting firms. A further career opportunity is to enter a PhD in (quantitative) finance. The curriculum consists of two semesters of coursework followed by the writing of a Master's thesis. The program starts every year in the fall semester (mid September). Interested persons need to apply online for a place of study by 15 January. Admission is very competitive.